Emergency lightsticks are a quick and easy emergency lighting system for any environment. Simply bend, snap and shake for instant light. No heat, no sparks, no flames and no batteries required. 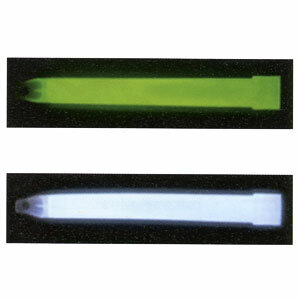 Light activated by safe, non-toxic chemical reaction. 150mm Hexagonal shaped tube with hook and hole hanging facility. The shorter the light duration, the brighter the light.